The starting price is for Queen bed with built-in night stands only. The Emilio Bed utilizes two-tone lacquer to create an extremely contemporary design. Raised on a slight platform, the modern bed rest on metal bases. The bed's white or black headboard is contrasted with an asymmetrical gray crocodile panel. 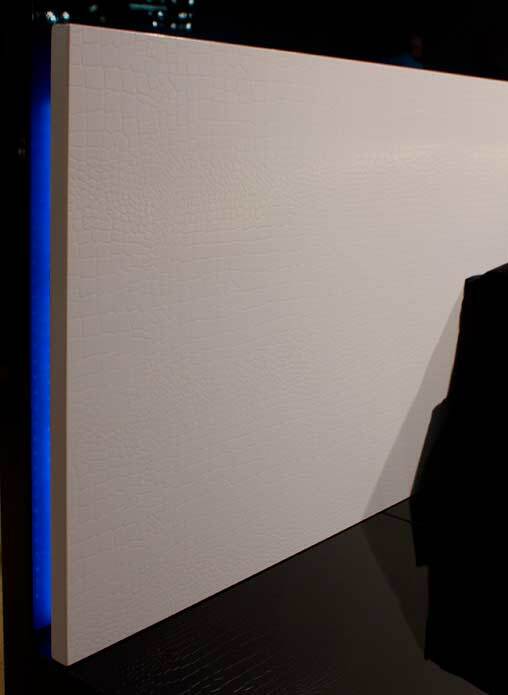 This small panel is enhanced further with an LED strip behind it for added elegance. 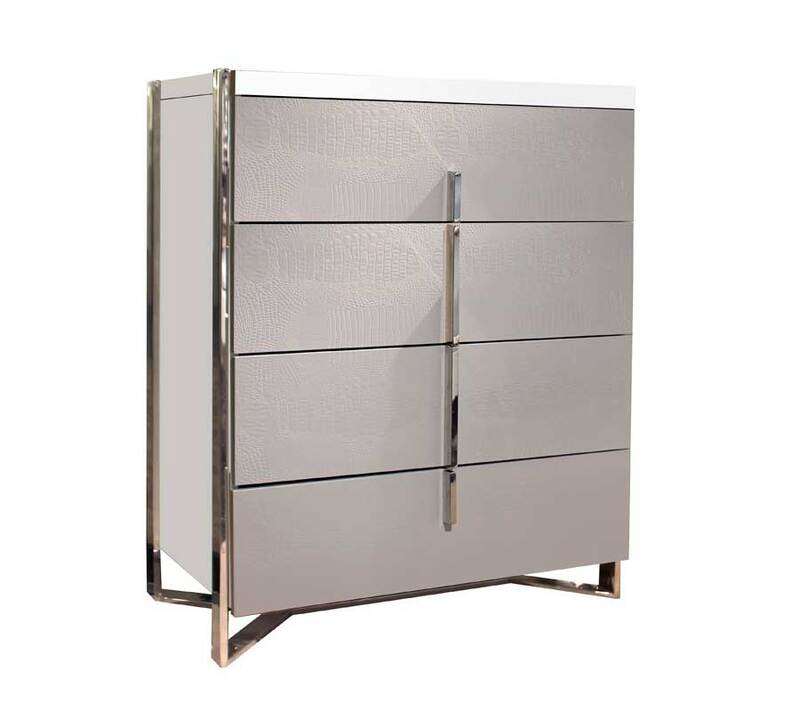 The attached modern nightstands, each with one drawer, also feature gray crocodile drawer fronts and a sleek metal handle. The Emilio Chest blends lacquer, crocodile lacquer and metal to create this modern, two-tone chest. The drawer fronts feature the gray crocodile pattern to make it a unique piece for any bedroom. 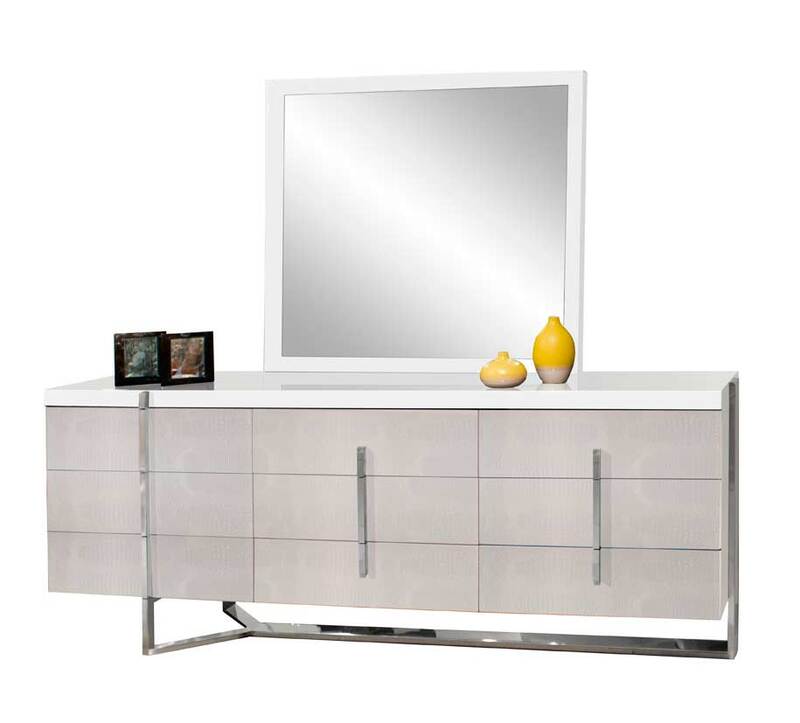 The symmetrical chest has five equal drawers all with a sleek metal handle. 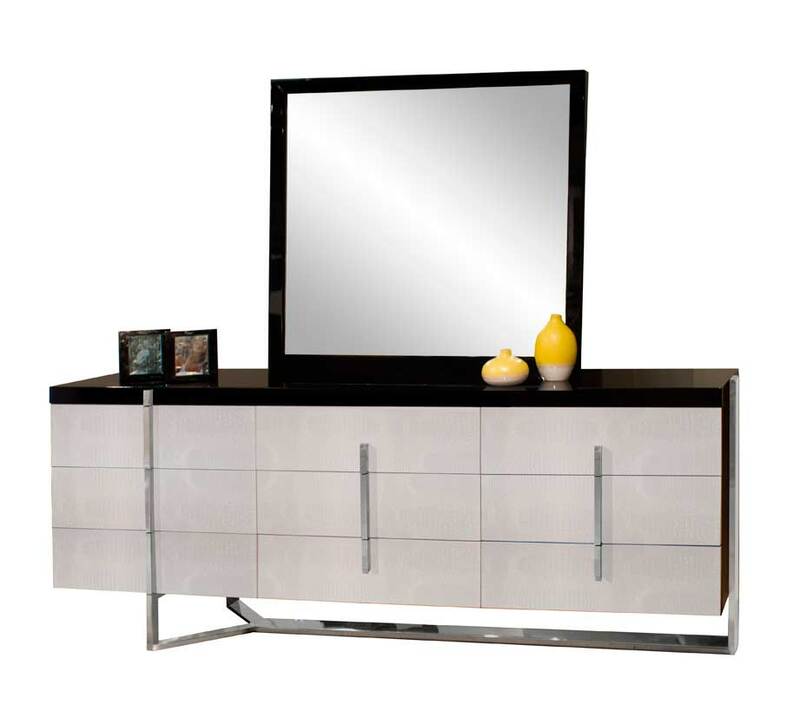 Stunning look, Black or White Lacquer with grey mirror. Wave shaped footboard, Stunning look.